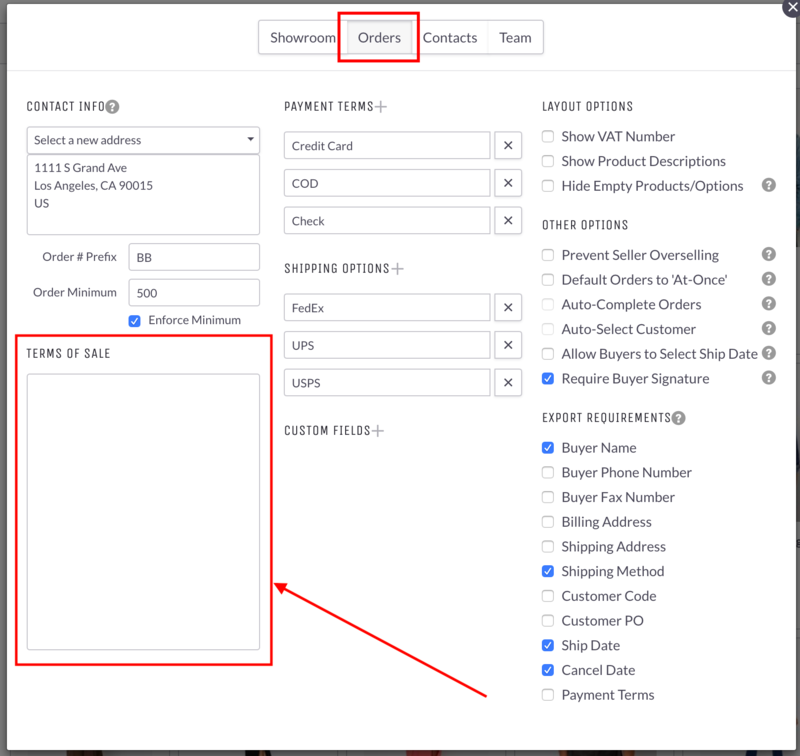 In your Showroom Settings, click the "Orders" tab to see your Order Settings. See Order Settings for more info. In the bottom left corner, there is a text box for you to enter your Terms of Sale for all Orders in this Showroom. What are the Terms of Sale for? When your Buyer places an Order on Brandboom, they are prompted to confirm that they agree to the terms listed in your Terms of Sale section. You can use text here to communicate how the Order will be paid for, executed, and fulfilled and what happens in case of errors or problems. It can be extremely helpful in case a dispute arises.